Contributing to the needs of ordained monks and nuns around the world with support for food, accommodation, healthcare, education, and practice. 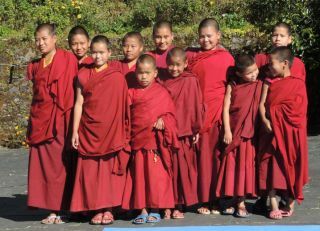 This Supporting Ordained Sangha Fund is broader in scope and offers support to monasteries, nunneries, and individual monks and nuns around the world for food, accommodation, health care, education and practice. 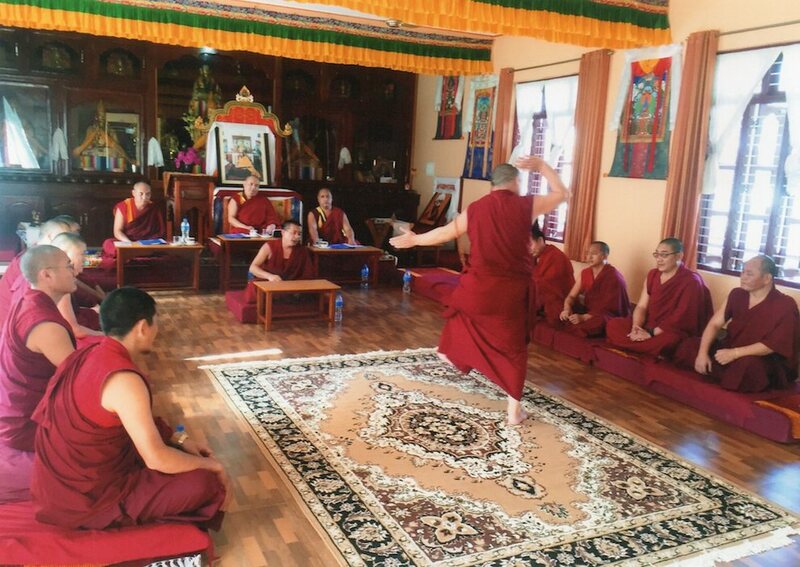 The fund is not limited to any one institution and able to benefit many nunneries, monasteries and Sangha in need. 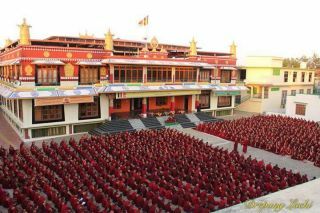 Supporting monks and nuns is one of the highest priorities for the FPMT organization, because the preservation of the Buddhadharma is dependent on the existence of Sangha. Offering daily meals to the monks of Idgaa Choizinling Dratsang in Mongolia • For twenty six years offering all the meals daily to all the monks of Sera Je Monastery through the successful Sera Je Food Fund • Created an endowment fund able to cover the annual costs associated with offering three nutritious meals each day for all the monks of Sera Je Monastery. Please enjoy this an extensive article, “Sustaining the Pure Unbroken Lineage of Buddha’s Teachings in This World: The Legacy of the Sera Je Food Fund,” which is an in-depth look at the accomplishments and historical context of the Sera Je Fund over the last twenty-seven years. Offerings to Sera Lachi for improvements to the monastery • Support to Sera Je Monastery projects • Funding the debate courtyard at Sera Mey Monastery • Retreat rooms for Sangha of Gyurme Tantric College • Rebuilding the Rolwaling Gompa, Nepal • Offerings to the International Mahayana Institute Sangha communities • Annual grants to Tashi Chime Gatsal Nunnery, Nepal for food, accommodation, and rebuilding of the nunnery • Numerous grants have been given to monastic houses in Sera Je Monastery such as Bhati Khangtsen, Ngari Khangtsen, Samlo Khangtsen, Dhakpo Khangtsen, Osel Labrang, Kopan House, and others • Ongoing support to Kopan Monastery and Nunnery • Funding to the medical clinic at Sera Je Monastery. 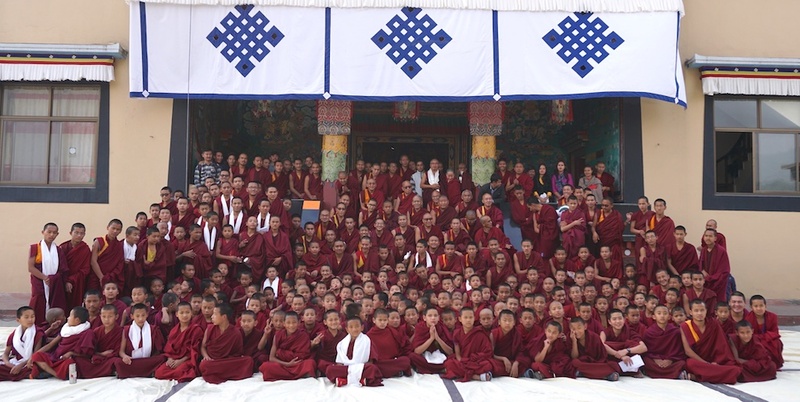 Funding for annual exams and debates at the great monasteries of South India • Monthly stipends to all the senior teachers of the Gelug lineage through the Lama Tsongkhapa Teachers Fund, which is a project of the Supporting Ordained Sangha Fund • Support has been offered toward the education, including geshe studies, of a number of young reincarnated lamas sincerely engaged in study. 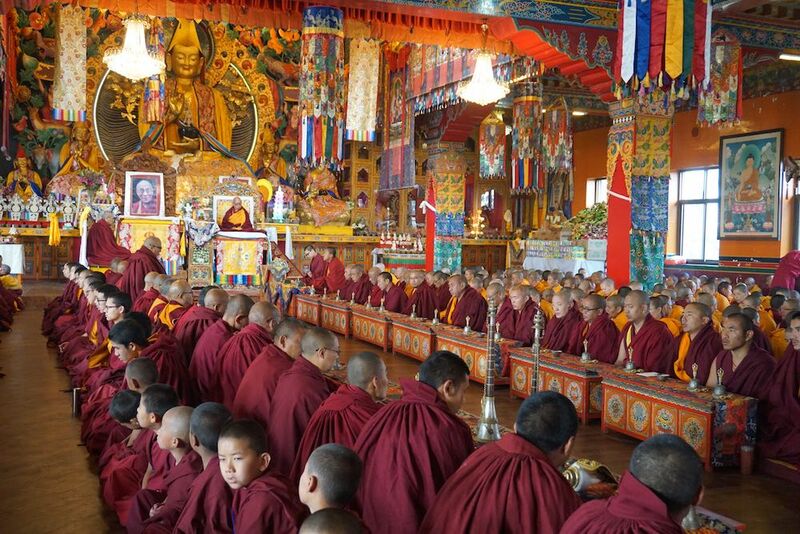 Offering robes annually to all the FPMT geshes as well as ordained resident and touring teachers and also to Sangha who complete memorization of extremely difficult texts. 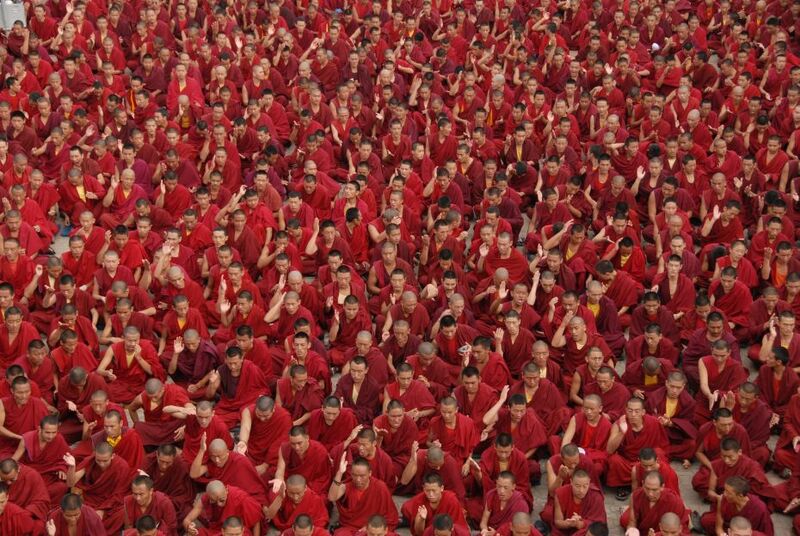 This fund supports Lama Zopa Rinpoche’s Vast Visions for the FPMT organization. 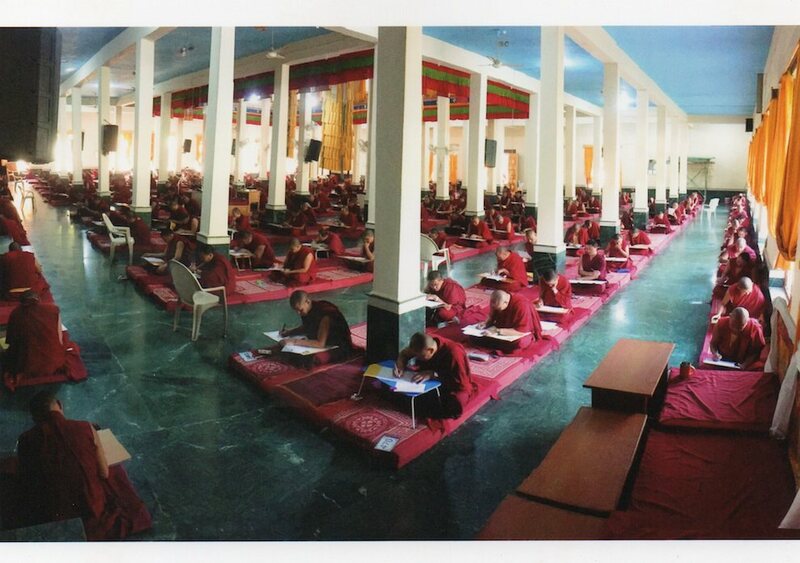 Thirteen of FPMT’s centers have established monastic communities including the organization’s first, Kopan Monastery. Or simply send your check in US dollars payable to FPMT Inc. and write “Supporting Ordained Sangha Fund” on the memo line. 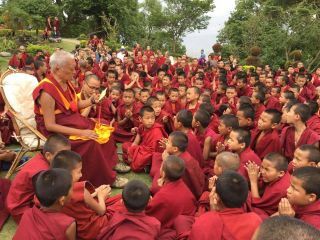 The Supporting Ordained Sangha Fund is a project of FPMT, Inc. and is administered by FPMT International Office located in Portland, Oregon, United States. All donations made to this fund are tax-deductible within the United States in accordance with IRS Code article 501(c)(3) to the extent allowed by law.